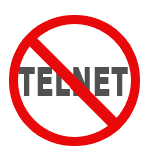 Telnet is an antiquated protocol, passing data from one computer to another without encryption. Because you must login with a password to our servers, for security reasons, we use SSH. SSH access is similar to Telnet, except that data sent and received are encrypted. This immensely reduces the chances of your website being hacked. If you do not have an SSH Client you can simply download one or go to the control panel, select SSH / Telnet and an SSH Java applet will load into a new window. Linux Users: An SSH client is typically installed by default. Mac OS X Users: An SSH client is typically installed by default. SSH is disabled by default. If you require SSH to be enabled on your hosting account create a helpdesk ticket.